I’ve renamed this tart. It was first created in Kent by a lady who wanted to help feed up the malnourished gypsy children. Remember this was a dish to feed up malnourished children, it has 3 ingredients. A pastry shell, evaporated milk and a bucket load of muscovado sugar. Book your dentist appointment now. 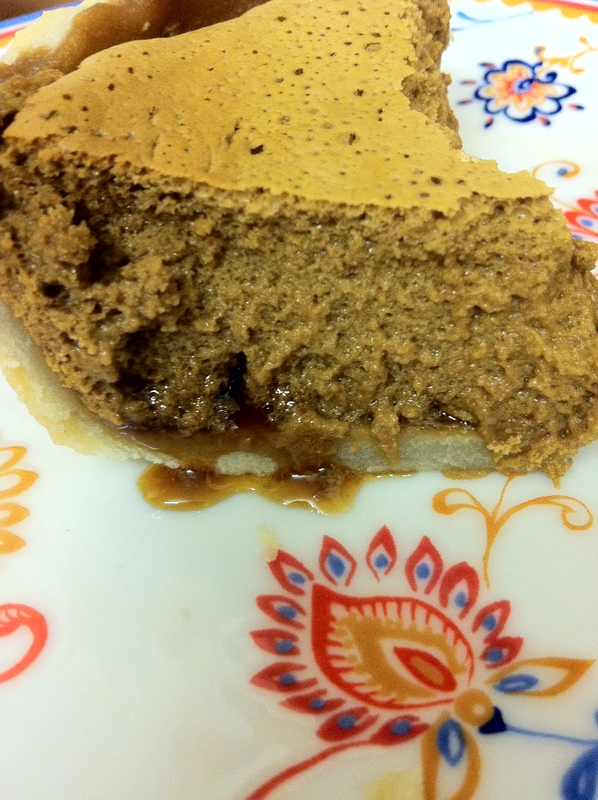 This tart was made often for dessert for school dinners, not so much now, I think they realised it wasn’t the most nutritional pudding to serve to children. Don’t know why I’ve called it Wanderlust Tart instead of Gyspy, may be because I’m constantly dreaming of travelling too. The main reason I tried this tart was that at my flat we were having a Sunday Roast. Not just any Sunday Roast but the first meaty roast my housemate has had in the last 13 years! Being a strict veggie then I come from a trip from London and she’s eating bacon! To celebrate the fact she has come back to the world of eating meat, we made a huge roast chicken and I made this tart for pudding. Think I would use a shallower tin if I made it again. 1. Oven to 180C. In a stand mixer like my beautiful Kitchenaid (although mine is baby blue), with the whisk attachment pour in the evaporated milk and muscovado sugar and mix. Mix like you’ve never mixed before. 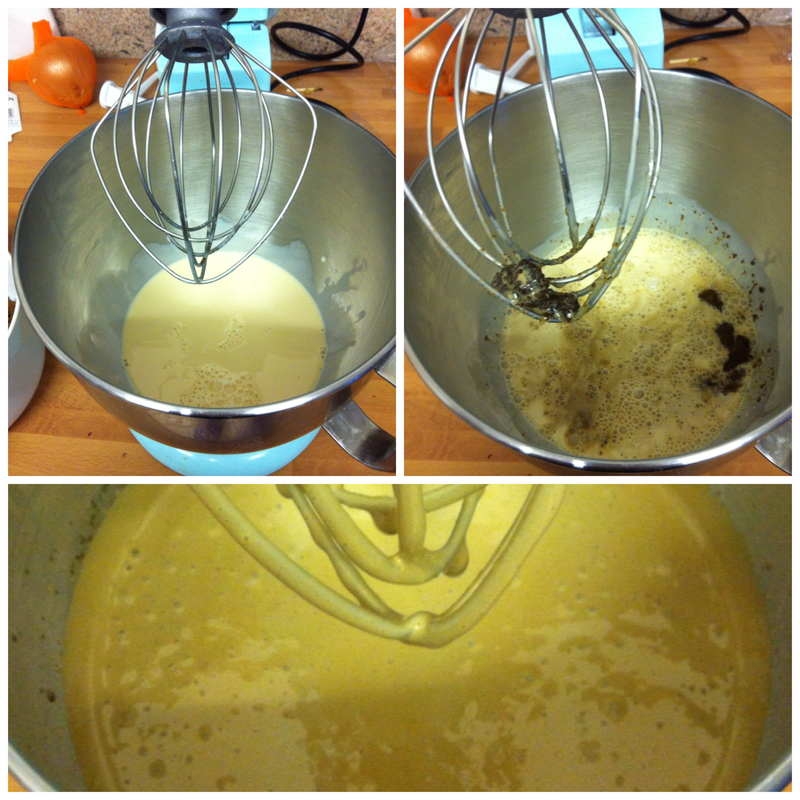 Whisk at a high speed for 15 minutes. You will have a pale caramel frothy mixture. This stage is worth taking your time as will mean the end tart will be nice and lighter. That’s all the hard work! So simple – may be not one recommended to hand whisk! 2. As I had two smallish dishes to use, I spread the mixture between two blind baked cases. Pour the mixture in to the pastry cases and bake for 15 minutes. 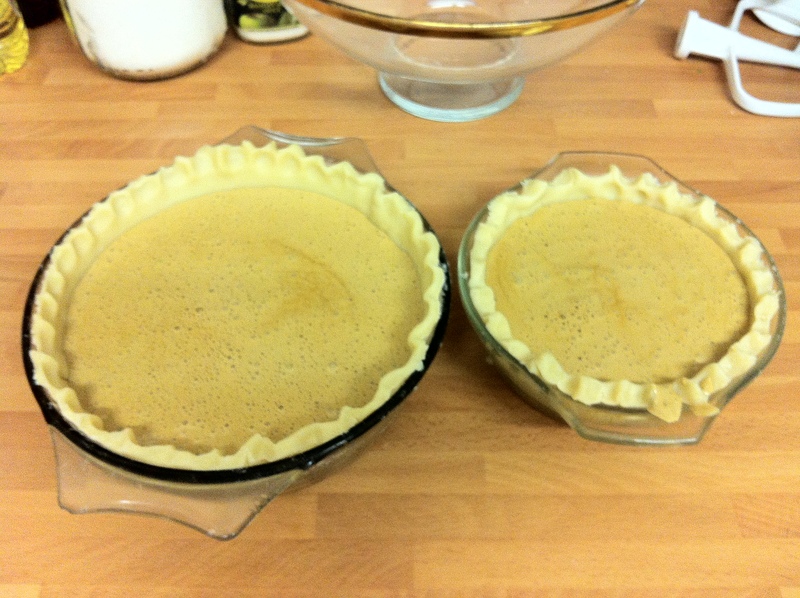 The tart should have a slight tacky surface to the top and will continue to cook when taken out the oven. Leave to cool. 3. When cool served with a blob of crème fraiche and slowly slip into a sugar coma! you have sold me on this one!